The historical research network on violence after Stalinism is funded by the Leibniz-Gemeinschaft. The project is hosted by the Centre for Contemporary History, Potsdam (ZZF) in cooperation with the Institute for East and Southeast European Studies in Regensburg and the European University Institute in Florence. 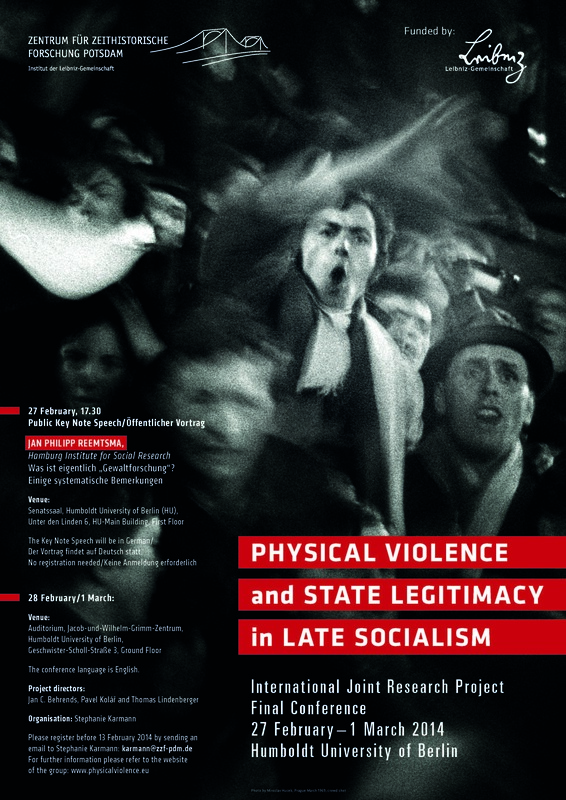 The network investigates the relationship between physical violence and state legitimacy after Stalinism. It addresses the following questions: How did the party-state control violence after Stalin? How did political legitimation change after 1956? To what extent did physical violence disappear from politics? How was physical violence in the private sphere dealt with? Did these changes contribute to the decline of communism? The project’s international research network is contributing to the debates about the nature of communist dictatorships, to the causes of the European revolutions of 1989 and the break-up of the Soviet Union in 1991. Its aim is to strengthen international cooperation and support comparative and trans national research in the field of communist studies.